We have developed high diversity human antibody libraries to identify novel Immunotherapies and improved monoclonal antibodies. Zumutor is a leading Immuno-Oncology company in the space of targeted NK cell therapeutics. 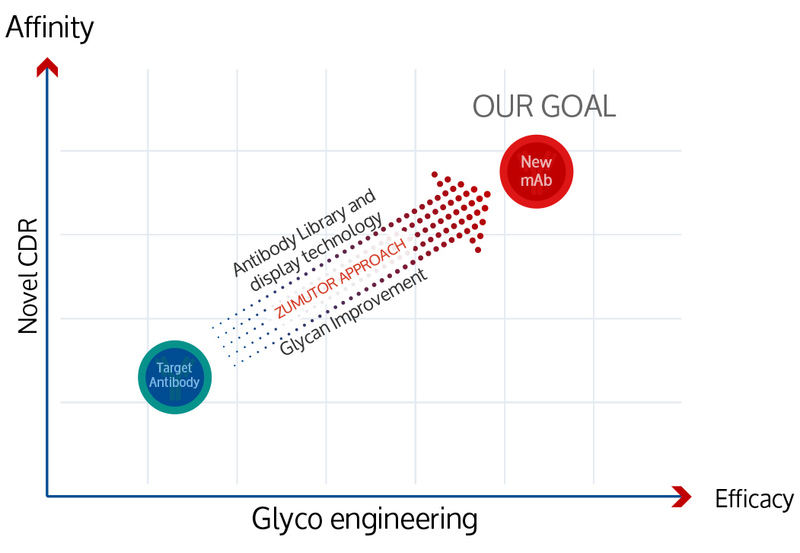 We have two proprietary Antibody Engineering Platforms to develop novel immunotherapies that target innate immunity and regulate the tumor microenvironment. Formed in 2013, we are headquartered at Woburn, MA, USA; with a ISO 9001:2015 laboratory in Bangalore, India. Our key successes include global licensing of a biologic product for the treatment of breast cancer and multiple partnerships for development programs using our technology platforms. We attract, retain and nurture scientific talent who shares our dream of pushing the boundaries of therapeutic research and development.